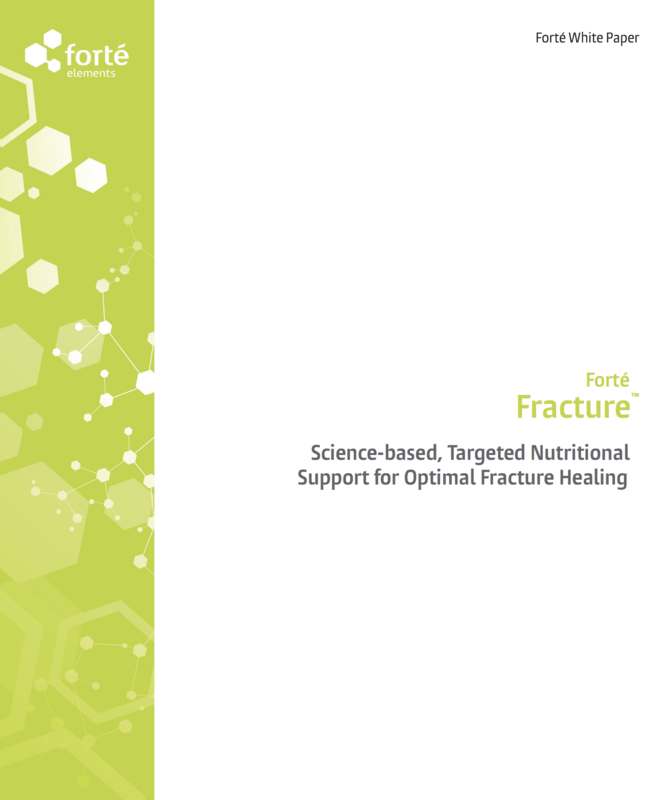 FOCUSED NUTRIENT SUPPLEMENTATION delivers more targeted, specific support for fracture healing than individual supplementation. Accelerate the mending of fractures and regain your active lifestyle. 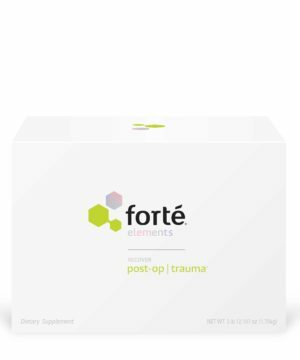 ORTHOPEDIC SURGEON FORMULATED and trusted by many NCAA Division 1 schools, Forté Elements Bone Fracture Supplement boasts a blend of antioxidants, anti-inflammatories and amino acids to promote healing. 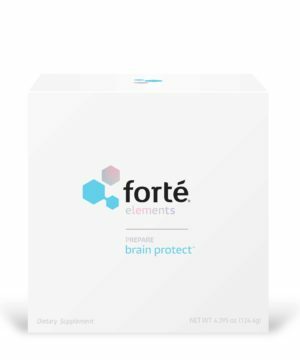 MEETS OR EXCEEDS the recommended daily allowances of 21 essential vitamins and minerals in 1 efficient dietary supplement. Contains CoQ10 to enhance absorption of key nutrients that speed healing. DELICIOUS AND EASY pre-measured individual packets are travel-friendly and offer complete nutritional vitamin supplementation at home and on the go. 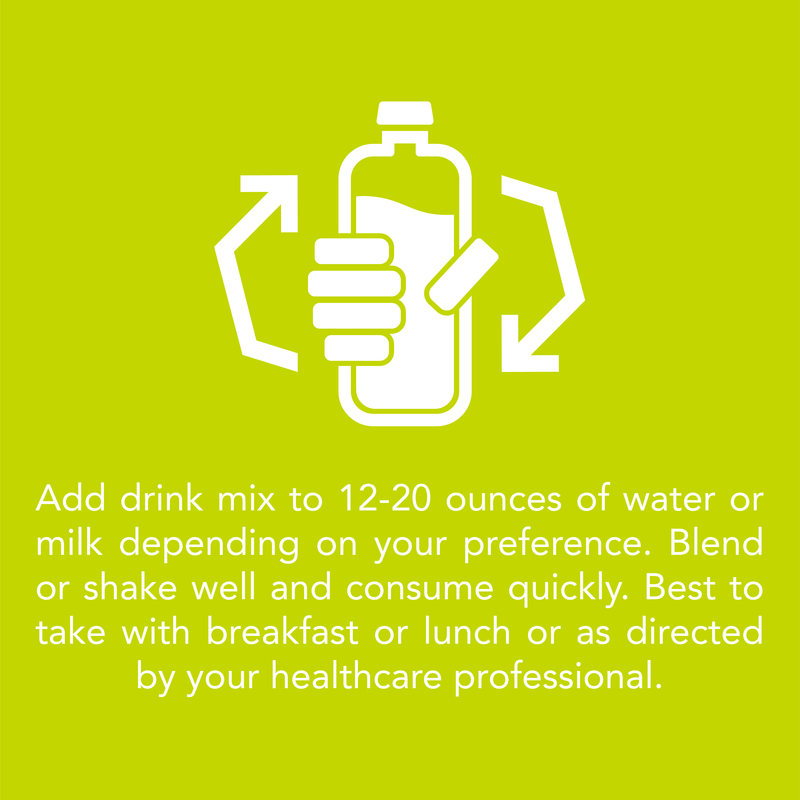 Simply mix into milk or a smoothie recipe and enjoy. Each year, an average of 6 million people in the US will break a bone, and approximately 5-10% of those fractures will fail to heal normally. Forté Elements Bone Fracture Supplement provides focused multi-nutrient support to accelerate fracture healing so you can get back to leading an active and fulfilling lifestyle. Formulated by a leading orthopedic surgeon, this revolutionary blend of amino acids, vitamins, minerals, natural antioxidants and anti-inflammatories is more potent and effective than individual nutrient supplementation. 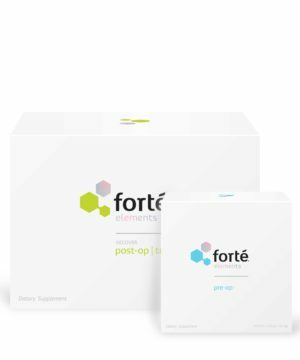 Forté Elements Bone Fracture Supplement contains 100% of Recommended Daily Allowances of 21 essential vitamins and minerals known to promote fracture healing. CoQ10 enhances their absorption while a copious supply of amino acids ensure new protein synthesis, tissue regeneration and overall repair. By repairing oxidative damage and speeding nutrients to the bone matrix, our supplement eases inflammation and speeds the healing process. 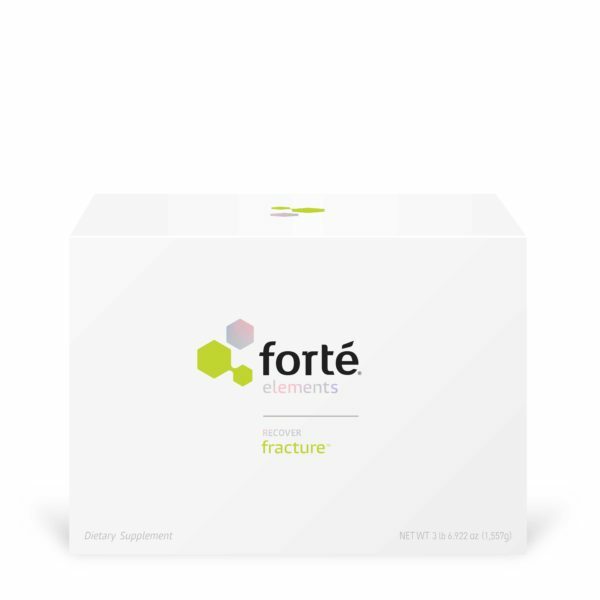 You’d have to choke down countless pills and capsules to get the same nutritional support that just 1 packet of Forté Elements Fracture Supplement provides. Pre-measured in compact, discreet packets, our bone fracture formula dissolves with ease in milk or a smoothie for a tasty treat you’ll actually look forward to. Each box contains 30 packets for a full month of bone growth support. 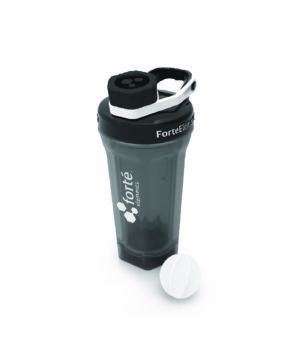 Bone up on multi-nutrient support for breaks and fractures. 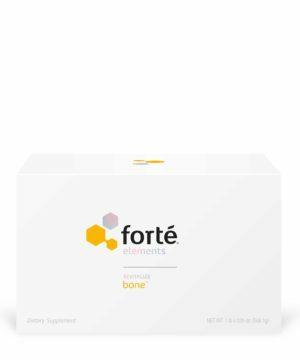 Add Forté Elements Bone Fracture Dietary Supplement to your cart today. I had a severe ski accident where I shattered my collarbone in 20+ pieces and I broke 7 ribs in 15 places. Was in the hospital for a week and had surgery. I ordered the product from my hospital bed thinking what the heck, I’ll try anything at this point. 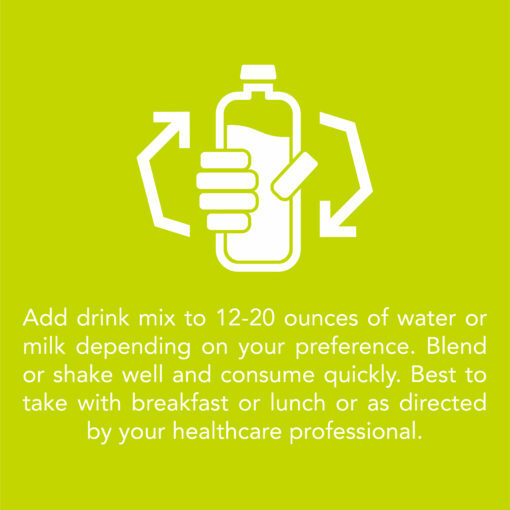 I took it religiously on a daily basis making a smoothing with ice, water, a banana and some dark chocolate. When I went back for my post op 6 week visit and xrays my orthopedic literally gave me high fives and did a little victory dance. The rate at which I healed was unreal. I was skiing again 3 months later. I eat right and stay in good shape but this was pretty remarkable and I have the xrays to prove it. Great product. Tastes pretty good and it works. I needed to heal up my fractured tibia quickly.. I healed up very quickly and the bone is getting stronger. About to order some more in preparation for 6 months of intense training. I drank this every other day to extend the amount of product. 10/10 getting it again!! Taurine: important for brain, retinal, and muscle tissue integrity and function. L-Arginine: stimulates wound healing and helps to fight infections. Silicon: fundamental to bone and skeletal structure. Also promotes healthy skin, hair, and nails. Glucosamine: a basic building block for healthy joint cartilage and may delay the long-term progression of knee osteoarthritis. Has been shown to reduce joint damage and improve knee function. Quercetin: has antioxidant and anti-inflammatory properties that boost the immune system. Also shown to reduce the intensity of knee pain in people with arthritis. Alpha Lipoic Acid: an effective antioxidant that is present in every cell in the body. Also helps turn sugar into energy. Bromelain: a pineapple enzyme with pain relieving and anti-inflammatory properties that can help to relieve mild knee pain. Coenzyme Q10: shown promise in the treatment of a number of medical conditions such as congestive heart failure, chest pain, high blood pressure, nerve damage, Parkinson’s disease, and others. Chondroitin: an important structural component of cartilage. Has been shown to reduce pain in patients with osteoarthritis.